Credit scoring is confusing and broad: FICO, TransUnion, Experian, Equifax, etc. You’re probably thinking, which score counts? Avid readers of our blog have learned that the Fair Isaac Corporation actually uses the information found within your credit reports to calculate your FICO score. 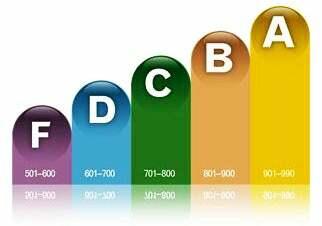 Known simply as a “credit score,” the FICO rating ranges between 300 to 850 points and measures your level of risk and ability to repay debt. FICO scores are widely used by creditors to approve or deny loan applications, lines of credit, mortgages, etc. While useful to lenders, many consumers criticize the scoring model, citing it as the only popular rating system, a monopoly with no competition. With the advent of the VantageScore, their criticisms have been heard. FICO scores are calculated based on five factors: payment history, amount of debt, credit history, types of accounts, and inquiries. 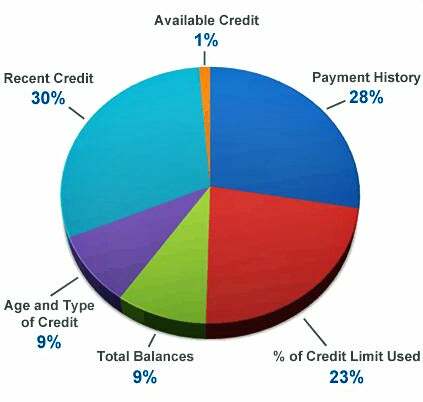 The VantageScore incorporates a sixth factor: “depth of credit” (see above photo from Experian). Unlike the FICO score which considers old and new credit accounts with similar weight, the VantageScore is primarily graded based on the last 24-month period. Critics have long objected to the FICO scoring model. The average credit report contains information from seven years prior. The drawback? FICO scores may still account for mistakes you made almost a decade ago. The VantageScore is good news for consumers with little credit history, or for those who dealt with bankruptcy or collections in the past. The “thin file” approach weighs recent activity more heavily than past accounts, allowing consumers access to a “fair” score that relies on their recent activity to determine risk. The VantageScore joins FICO and other scoring models in a long line of options for lender use. Its success is based on implementation—that is, if lenders decide to adopt it as their own risk calculator. Regardless of which model you prefer, good credit habits are imperative to the success of both. While you can’t change the past, you can control the decisions you make in the future. Leave the risk calculation to the creditors and focus on your own credit repair. The results will prove favorable on any scale. This entry was posted in Credit 101 and tagged Credit Score, VantageScore. Bookmark the permalink.